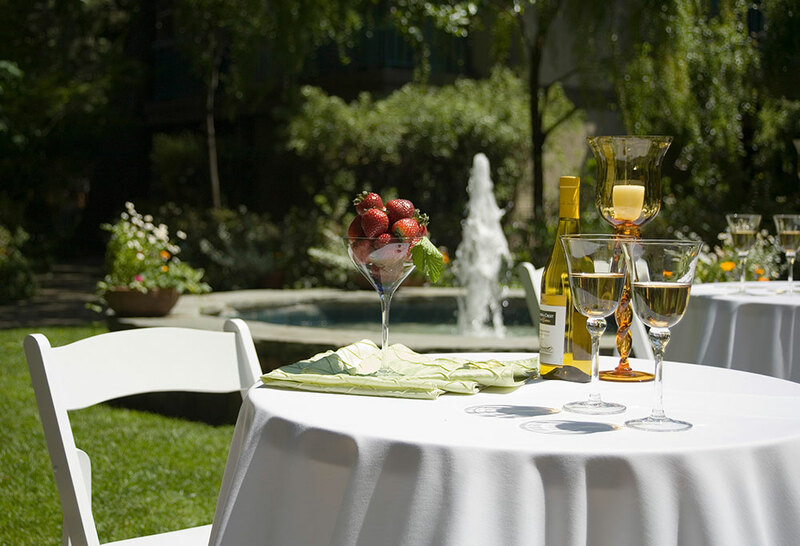 Host your Palo Alto weddings and special events in our intimate banquet spaces, stunning gardens and playful pool area. Set along Matadero Creek, lined with mature oaks, the Creekside Inn - A Greystone Hotel is a romantic and natural destination for your Bay Area wedding celebrations and festivities. A beautiful location, fresh delicious food and impeccable service create events in Palo Alto to be enjoyed and remembered with family and friends. The Creekside Inn - A Greystone Hotel offers three stylish indoor venues for weddings, events, banquets and receptions in Palo Alto, from 8 to 80 people. From elegant evening banquets in the Stratton Room to a relaxed rooftop party, the Creekside Inn - A Greystone Hotel is an extraordinary place to create your moments. Our flexible event spaces offer wireless internet, audio/visual equipment and creative catering.